Did this set of candy galaxy nails for my sissy! Her nails are long and slender I feel like eating her pink nails LOLL. Design done with Harmony breast cancer awareness collection & Vegas Night. 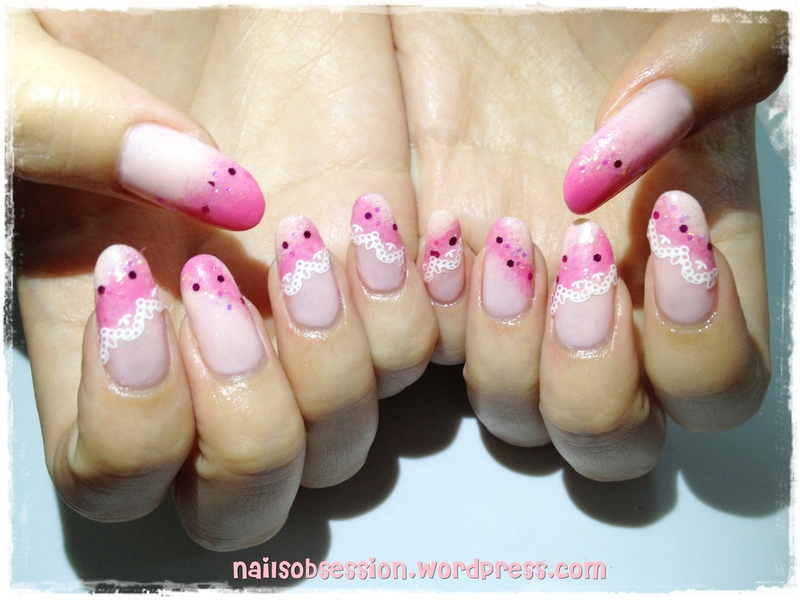 Design adapted from Nail Max, had the sequence and lace changed to our liking. Threw in random pink glitter flakes for shine! Super love this design! I think I’m just bias for pink designs hahahahaha.